I love looking at book covers and trying to imagine what the book is like based on the dust jacket's imagery. This has been a good year for book-cover gazing. 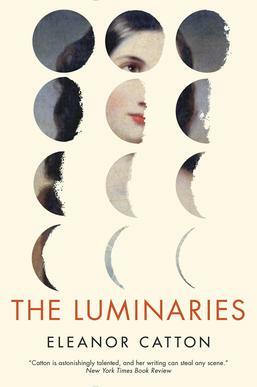 I had to read Eleanor Catton's The Luminaries (Little, Brown and Company, 2013) when I saw that cover art, even though the book description had me scratching my head. 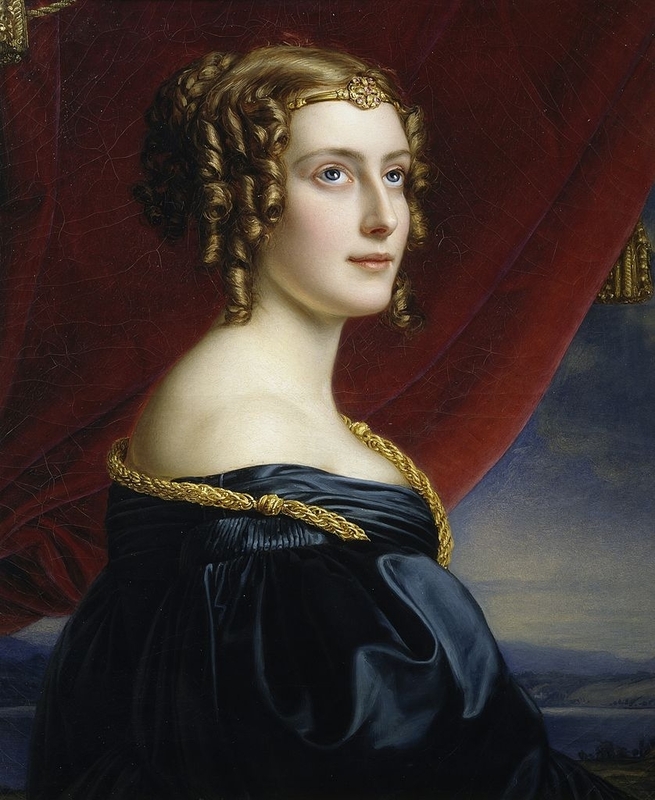 Those images of the moon waning to its last crescent, and the peek through to that Victorian portrait of the enigmatic woman. Sadly, the book remained an enigma to me, but I can still appreciate the cover art. 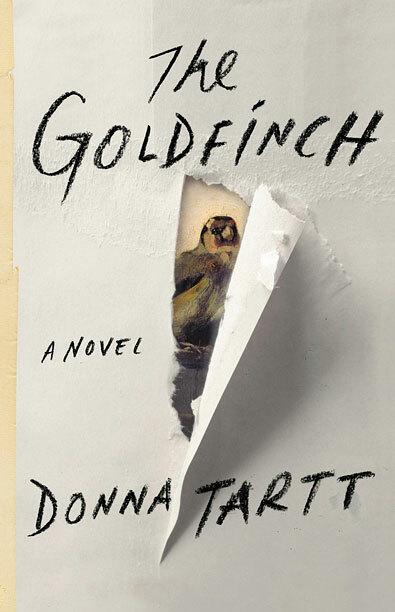 I'm listening to Donna Tartt's The Goldfinch (Little, Brown and Company, 2013) right now, and it's another one where the cover's mystery drew me in before I knew anything about the book. The book looks like it's wrapped up in white paper with a tear in it. Under the tear, you see just a sliver of Carel Fabritius's The Goldfinch, the tiny 17th-century simple masterpiece of a tethered songbird looking wistfully out from the canvas. The tear in the paper revealing that sliver is dagger-shaped and feels vaguely menacing to me. I got the book to find out the mystery behind that cover. Time travel in literature is an enthusiasm of mine, but I haven't seen many books that convey that theme so well in cover art as the slices of the woman's profile on the jacket of Ned Beauman's The Teleportation Accident (Bloomsbury USA, 2013). This cover makes me think of Louise Brooks filming Pandora's Box in Berlin in 1929. Close enough; the book is set (mostly) in 1930s Berlin. 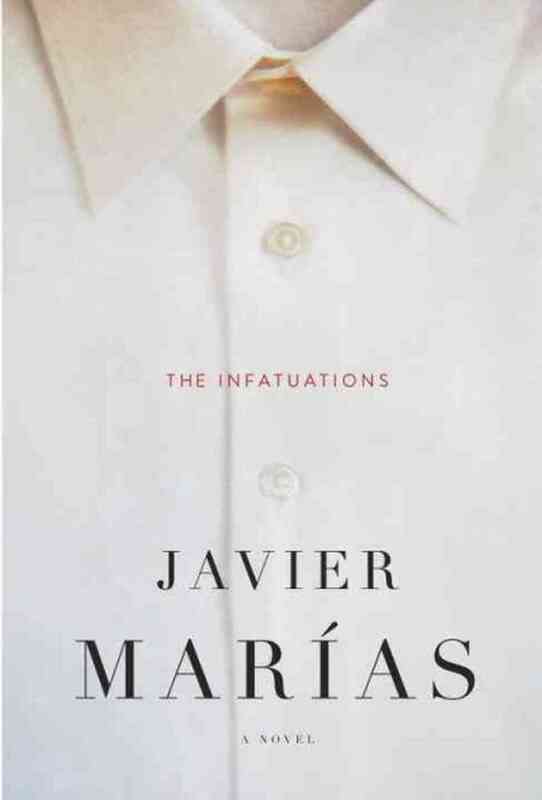 When I saw the cover of Javier Marías's The Infatuations (Hamish Hamilton, 2013), I knew immediately that this would be a book for Georgette Spelvin. That couple in the car's rear-view mirror look so happy, but is it a true reflection or is it just one dimension of their relationship? It's such an intriguing cover, why would the US publisher (Knopf, 2013) choose, instead, this cover of a plain white dress shirt? You know what? I don't care what this book, Let's Pretend This Never Happened (Putnam, 2012), is about because every time I look at the cover, I can't help laughing. Whoever dreamed up this art is a genius. That mouse; what is he supposed to be? A courtier? A magician? I think of him as as Teeny-Weeny Houdini, and he did something bad that he's hoping we can all agree to just forget about. Well, alright, the book is actually a comedic memoir by Jenny Lawson, known for her blog, The Bloggess, and I'm told it is funny, embarrassing and bizarre, but I'm not letting the facts stand in the way of Teeny-Weeny Houdini and his story. Sometimes a book cover that gives away nothing is better than one that tells all. 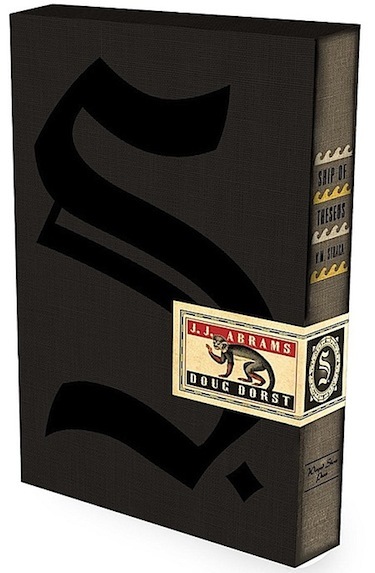 That's definitely the case with S., by J. J. Abrams and Doug Dorst (Mulholland Books, 2013). Head on, you see nothing but a gray book case, embossed with a black Fraktur S. and closed with a small, decorative seal printed with the authors' names and what looks like a 19th-century engraving of a monkey. What could this be? I wanted to know immediately. It turns out that when you slit that seal, out slides what looks like an old library book titled Ship of Theseus, by V. M. Straka. Inside that, there are pages covered with marginal notes by at least two different people, as well as a newspaper clipping, a telegram, a handwritten map, a photo and––get this!––a decoder ring. This is on my Christmas wish list and if Santa doesn't come through, it'll just have to be my New Year's resolution to get it for myself.